‘Good afternoon Miss!’ twenty-three small voices holler, as I walk into Standard Four at the Shradhanjali Integrated School, part of the Association for People with Disabilities. 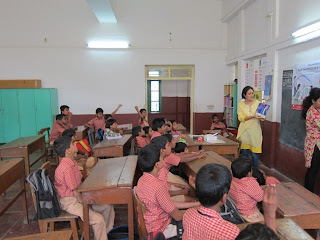 I tell them that I am a Pratham Books Reading Champion and will read them an interesting story followed by a fun craft activity. I have also enlisted my brother and sister to help me and I quickly introduce them. 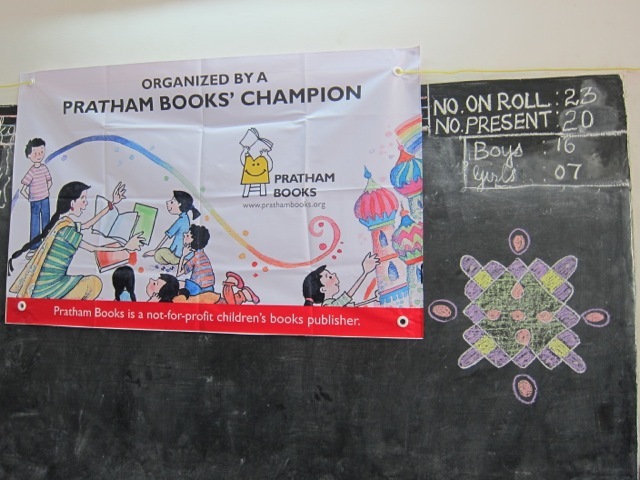 The kids are thrilled by this wonderful interruption and the class is soon abuzz with questions about the Pratham Books banner that we hang up against the black board. As SIS is an integrated school and has children who are hearing impaired - as well as children with severe and multiple disabilities – I have requested their class teacher, Ms Kanchan, to use sign language to explain the story to the hearing impaired children. 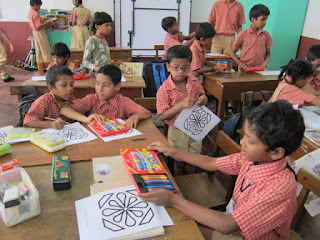 We start without further ado and the kids are quickly hooked. 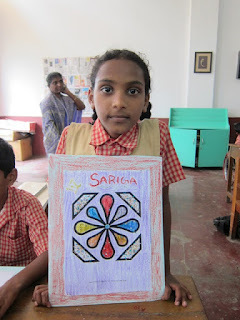 The principal has been happy with the choice of book – it is set in an Indian context and is something the children can relate to – and soon hands are raised to answer questions about rangoli and pongal and trains (right on cue, a train passes by on the railway line that is just a couple of feet away from the class room; it’s ear-shattering whistle forces us to suspend all superfluous talk and reach for our ears). The story ends with Susheela looking up at the night sky. I look at the kids and some of them have stars in their eyes as well; the story has been a hit. 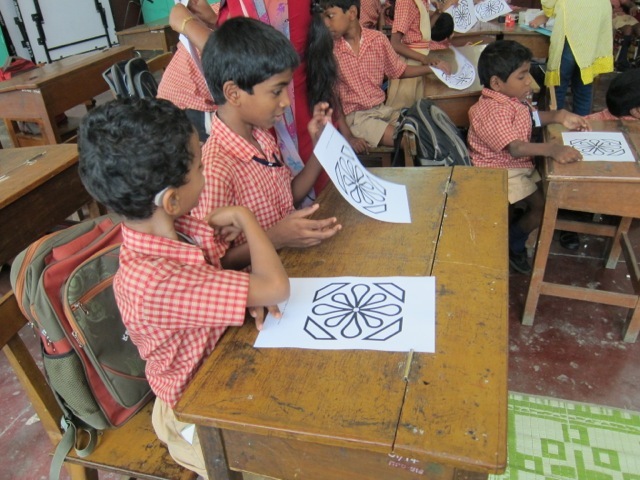 We now hand each child an A4 sheet of paper with a kolam design printed on it, and they go to work. Sketch pens, sequins, ‘gum’, crayons, all are argued and fought over, and soon the class is a beehive of happy humming bees. Once done, the colourful kolam designs are then pasted on to homemade KG cardboard files that they can take home with them. The afternoon passes in a blur of rushing to and fro, as indignant voices shout for help or fight over glue sticks or simply want someone to say ‘well done’. 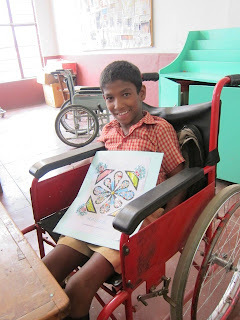 ‘Miss…gum Miss…’ Maula grumbles at me as I walk past him to steady Shashank - who has severe Cerebral Palsy – and who in his excitement, is getting rowdier by the minute. 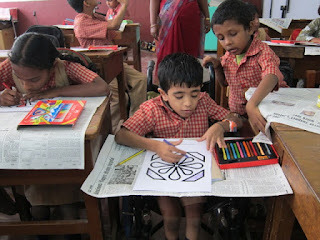 ‘Sit down Shashank!’ his class teacher says, her back to him; she doesn’t even look over her shoulder. 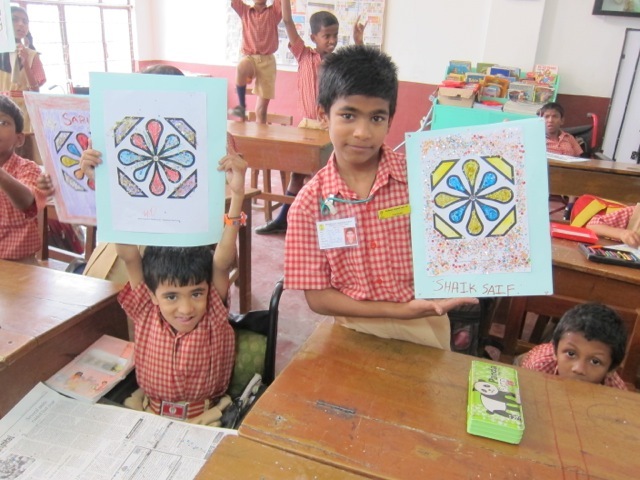 Shashank promptly subsides and I am free to find Maula a glue stick. 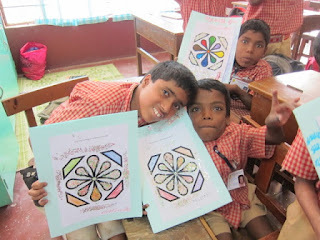 All too soon we are done and the children pose for pictures, holding their paper folders with the gaudy colourful kollams pasted on them high up in the air, their smiles flashier than the sequins glinting off their sticky fingertips. 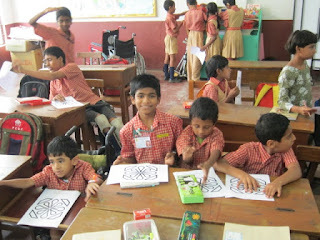 ‘Come back soon Miss!’ they yell as we say goodbye and I promise to be back soon with another story. 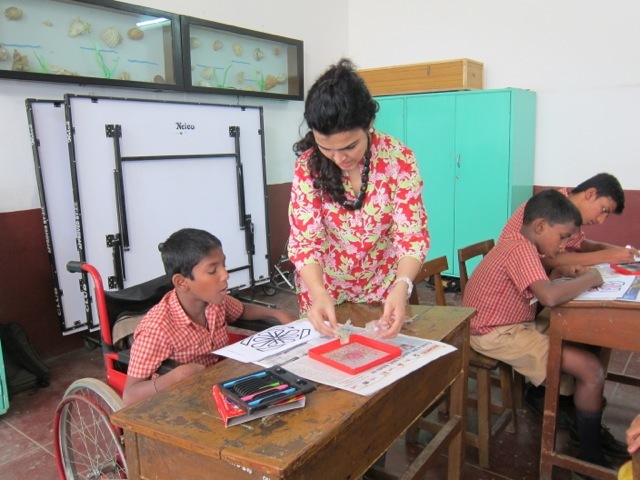 Thank you Zainab for spreading the joy of reading! Pratham Books was born when a generation brought up on the pleasures of books and reading realised that a vast majority of children in India were deprived of this experience. 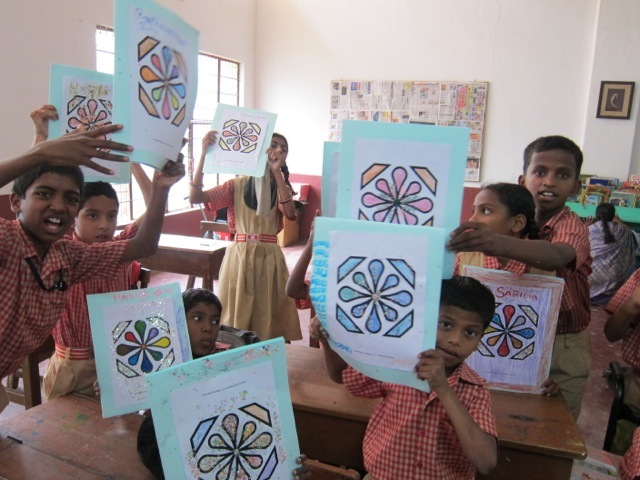 There were not enough good books for children in different Indian languages.Growing numbers of children in primary schools were struggling to learn the basic skill of reading and this was also affecting their overall ability to learn through the medium of print. The need for a variety of reading material for children at this stage is crucial for their educational journey. 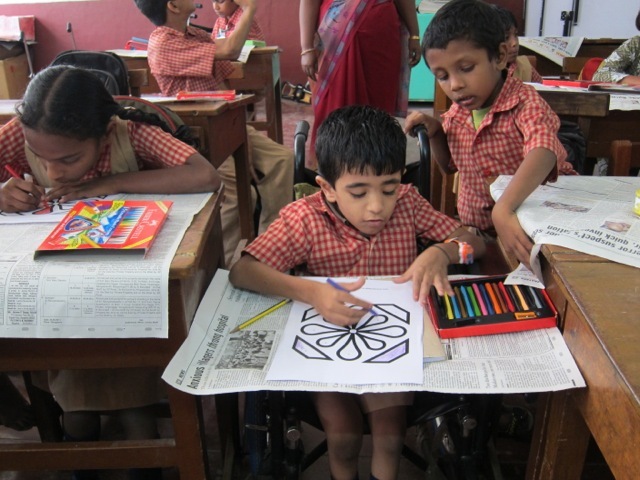 While creating good books for early reading is important as is unfettered access, what is equally important is the way books enter a child's life. Reading to children, telling them stories, opening the door to the simple but wondrous worlds that lie between the two covers of a book goes a long way towards making them curious, interested and autonomous seekers of knowledge. 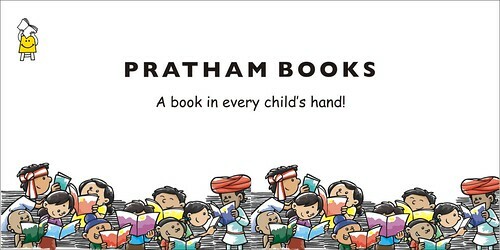 With a mission of getting a book in every child's hand, Pratham Books publishes attractive, affordable books in 11 languages. In addition to being a publisher, Pratham Books also promotes reading through a variety of activities and events. 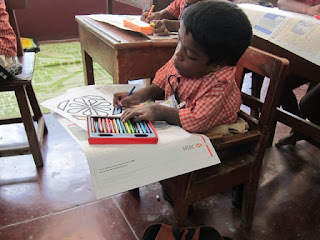 The 300 million children of India in the age band of 3-14 years cannot be reached by one single organization. Fortunately for us, there are other people who see value in our work and are as passionate about children, books and reading as we are! 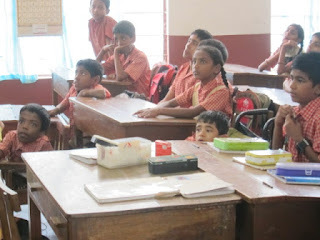 Through social media platforms, we have managed to connect with a large number of them to put their good will to practical use. We call them CHAMPIONS as they champion our cause by working with us whenever they can spare time to do a specific activity. 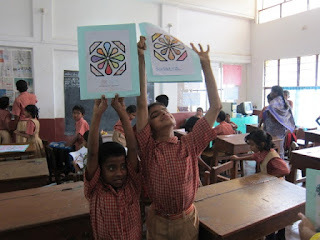 In this way, the joy of reading reaches groups of children across the country, it builds local relationships and introduces good books to children in different and unique ways. 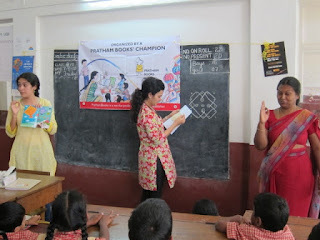 Our Champions read a selected book to children in their chosen neighbourhood and each of them has added their own special flavour to that event. 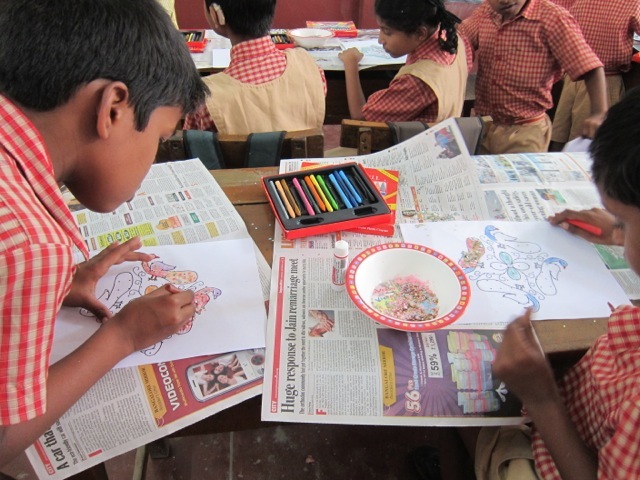 Drawing, singing together, long discussions, sharing food and of course, becoming a local hero as the favourite uncle, aunty, didi, bhaiya, akka...can be a very special reward for sharing time with children along with a good book. Recently, on International Literacy Day, more than 250 champions from across the country joined us in celebrating books with children! Collectively, we've reached more than 18,000 kids with the help of our champions. Phew! This couldn't be possible if we tried to do this alone. And that is why we need more champions! So, imagine a relay where nobody has to run but the number of batons keeps multiplying at an alarming rate! 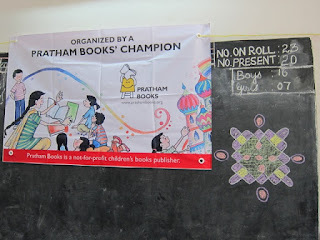 Would you like to pick up one of the batons and be a Pratham Books Champion? You can run with the baton or you could pick up several and even juggle with them! We will show you how.